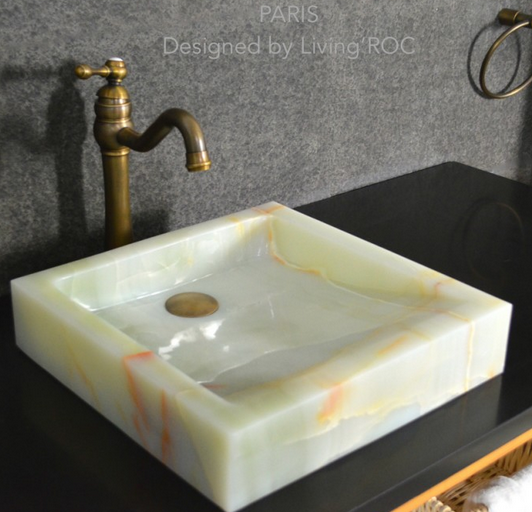 LivingRoc USA-The Blog: THANK YOU FOR SHARING! From time to time our customers share their visions with us. We would like to say Thank you very much for sharing with us all here at LivingRoc. Mother Nature is your guest with this beautiful slate natural stone table MAPLE ( Outdoor & Indoor). Accommodating 6 to 8 persons MAPLE will allow relaxing and friendly moments with friends and family. For daily use, the mosaic slate plate is very strong and easy to clean. MAPLE is sold without chairs. 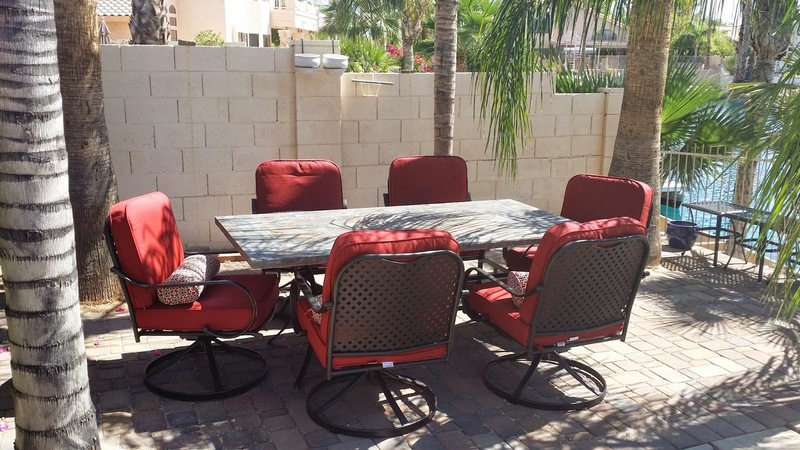 The various treatments applied on the plate as the base and chairs give our products exceptional strength, stop rust to the wrought iron parts and sun and rain damage to the natural stone plate. OCEANE is the work of talented stonemasons and craftsmen. The beautiful mix of silver gray slate and wrought iron is just perfect and its genuine rough look will bring to your living space timeless charm. Accommodating 4 to 6 persons for the OCEANE 49" diameter (as shown on the photos) or 6 to 9 persons for OCEANE 65" model will allow relaxing and great moments with friends and family. The Outdoor range is handcrafted, suitable for all the lovers of fine materials in search of an extraordinary finish! You will not find something similar in traditional shops! Thank you Mr. Y for sharing your fabulous shot. And if I may quote him "Admired all summer long". 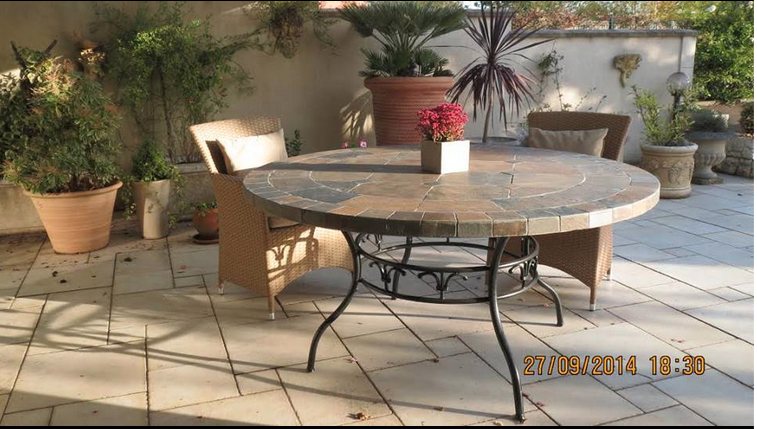 We would like to invite you to look at our whole collection of Natural stone Patio Table Here.